← Did I mention all I do is work? 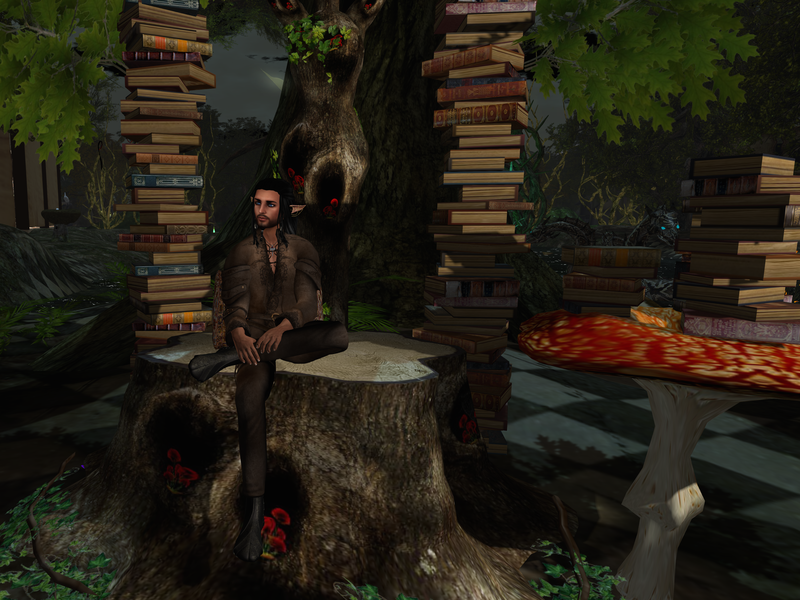 Home » A second life in pictures » The Gypsy is Lord of the Wild and the Green, And nobody knows all the wonders he’s seen…. The Gypsy is Lord of the Wild and the Green, And nobody knows all the wonders he’s seen…. The Gypsy is Lord of the Wild and the Green, And Nobody knows all the Wonders he’s seen…. That’s a song my mum used to sing. Come to think of it, my dad used to sing it too, but only late, late at night, after a pint or three. Softly, and with a pain in his heart I never understood, back then. Soon now, we will pack up the vardos and pay our tithe to the road again. Soon now, we will pack up the vardos and pay our tithe to the road again. 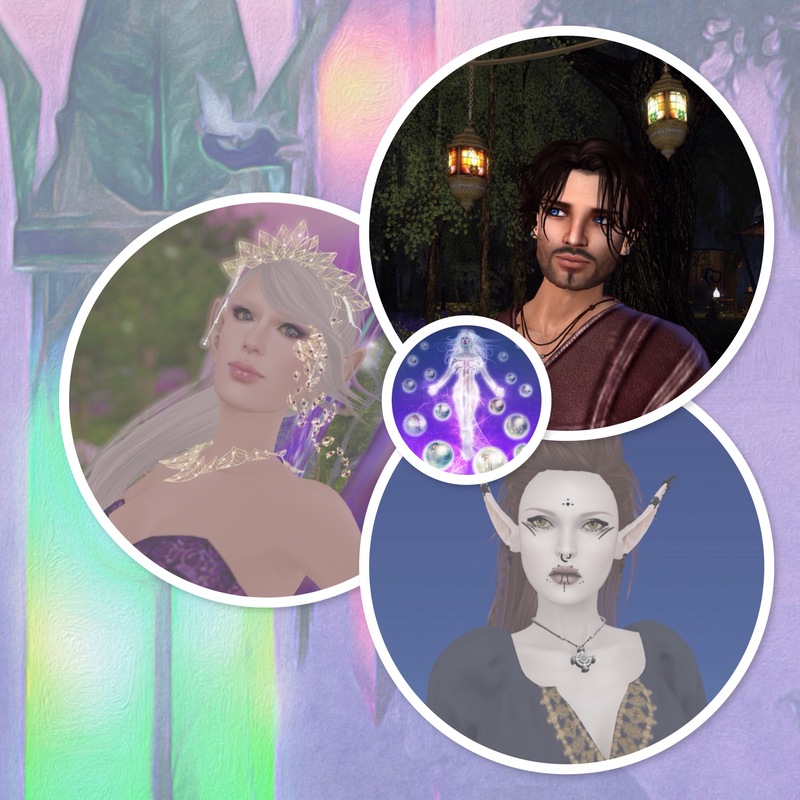 But now, as the Faire-goers begin to home and the shops empty out and I can leave the work to my apprentices… Oh, now is the time for wandering. I took a rest this morning on the banks of the river in Tangleshimmer Grove, where we have set our camp, it being the best place for the Romany in the Fairylands. And when I got up, I could feel it. The restlessness. There was so much more to see in the Fairelands, things I’d neglected with work and, well. With dallying. So many beautiful women here. It’s enough to make a man forget that he looked down from above upon the Faerie Queen. Almost. It is almost enough to make a man forget that. I have marvelled at the seemingly living iceberg that is Aurora. I have considered myself the captain of a ship in Poseidon’s Abyss. I have paid my respects to Snow White in Spires of Andolys. 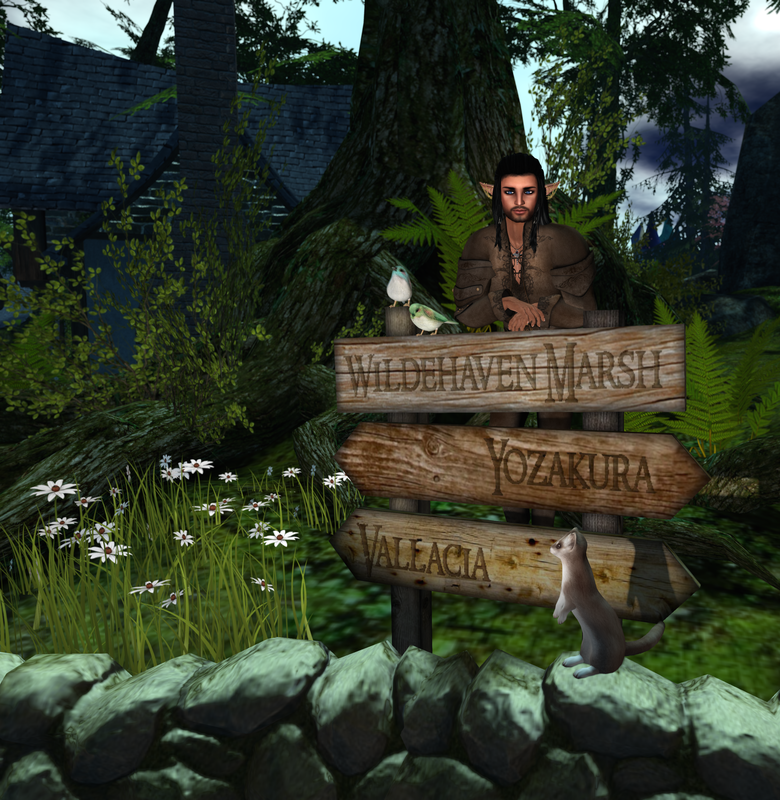 I have stood at the junction of two realms in Wildehaven Marsh. 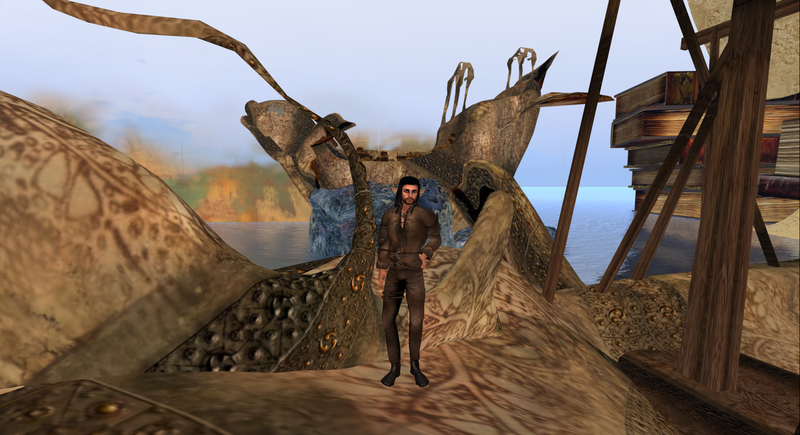 I have tested the wind aboard a faireboat on Vallacia. 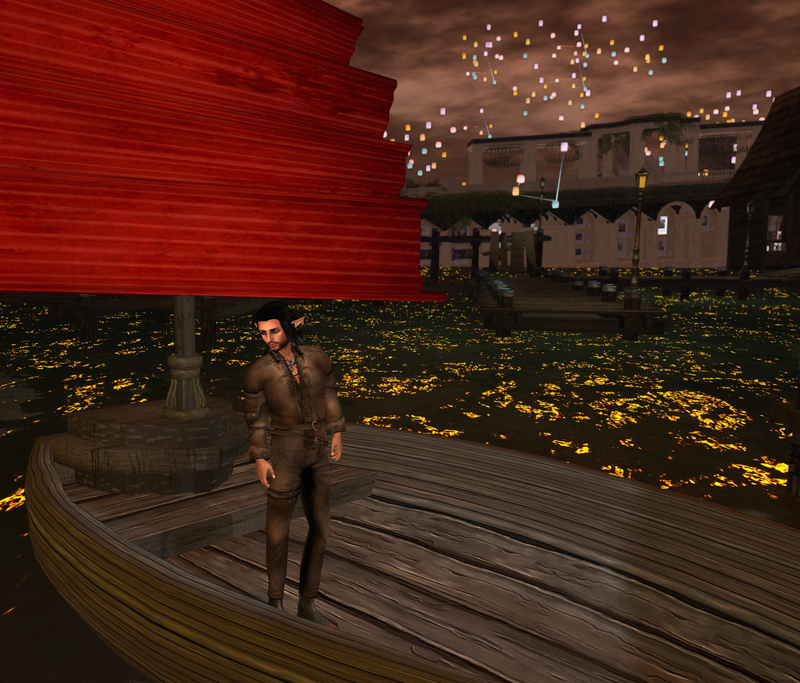 I have tested the wind aboard a Faireboat in Vallacia. 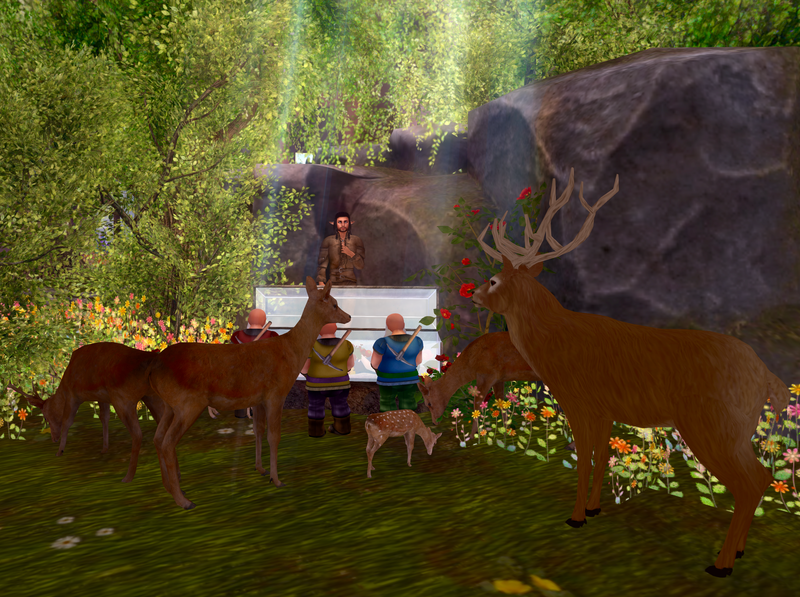 I have shared and heard the stories of my people in Sylvan of Spells. 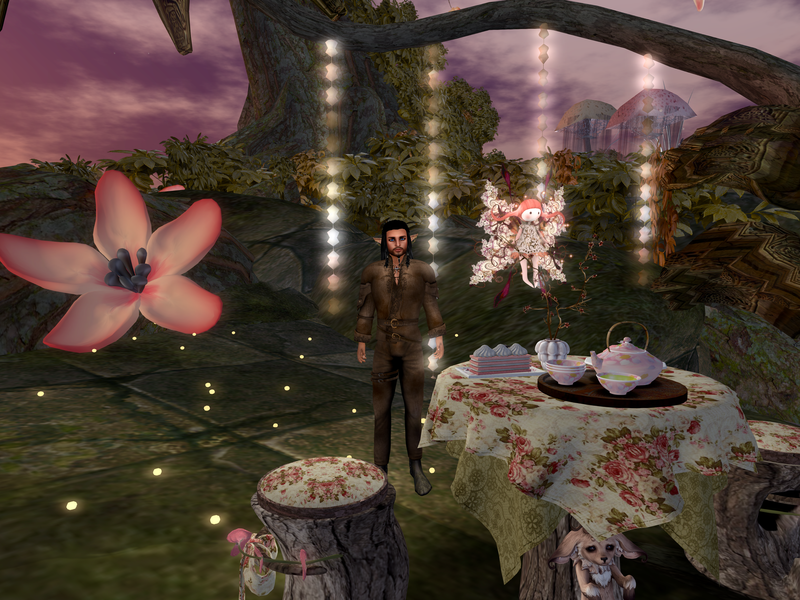 I have had tea with the strange fae in Ichi-go Ichi-E. I have considered, really thought about, what it feels like to be a book, in Poppetsborough. I have considered, really though about, what it feels like to be a book, in Poppetsborough. I have sat, higher than the rooftops, and thought about life and love in YoZakura. And a funny thing happened to me while I sat and thought. I had a vision of her, the Faerie Queen. I had a vision of her, of the Faerie Queen. She must have been dressed for the grand masqued ball they have each year at the Faire, near the end. It looked as if she were offering me an embrace. Or a blessing. And so I thought, thought about her embrace, and it was a sweet thought, and it tugged at my heart and my soul. 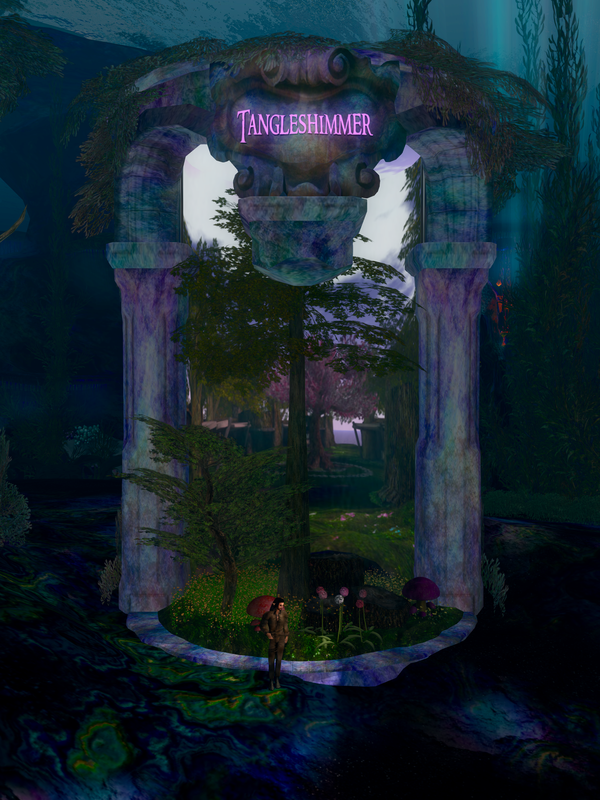 Then, perhaps reluctantly, I made my way back to the Tangleshimmer Portal in the Fairelands Junction. No. I will resist it, pull away from it, keep myself to the road and my calling and the fortunes of the people and the wisdom of the hedges. I will stay no more in Faerie but send my spirit out to have adventures where it will. And if she wants me, she can come to me, this time. 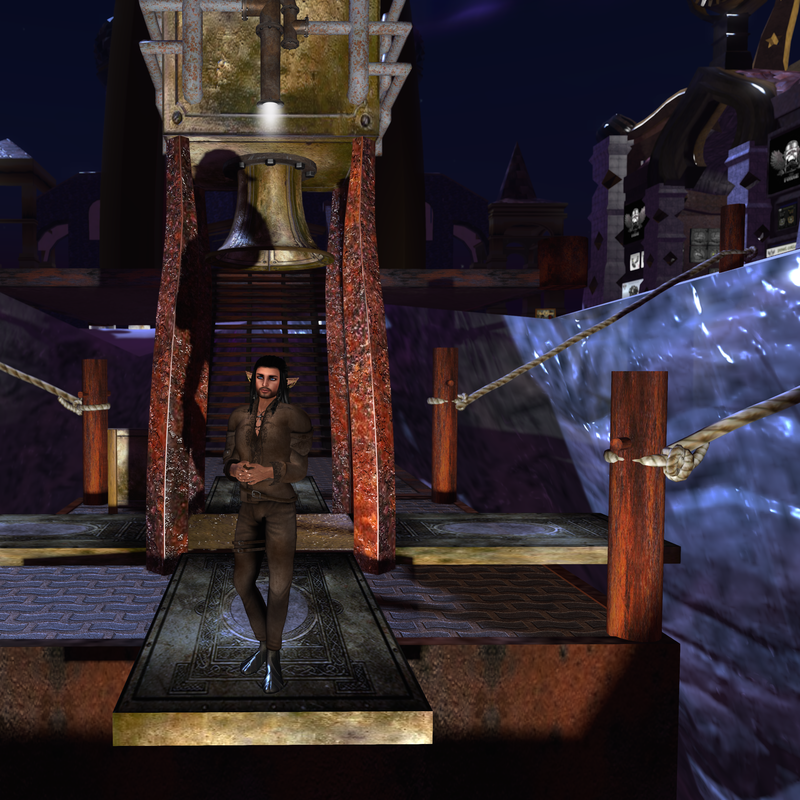 This entry was posted in A second life in pictures, Fantasy Faire 2015, Gwyneth, Not A Fantasy Fashion Blog!, The Gypsy Davey and tagged OK maybe it's a fantasy fashion blog..... Bookmark the permalink.